Everybody hates clutter and fights hard to get rid of it. This is especially true in one’s own personal space. Many people like to stay organized in the best way possible, and often spend a lot of time organizing their things, like the items on their desk, the drawers of their work area, the clothes in their wardrobes, etc. Many of you reading this have their own personal space that they don’t like cluttered or changed. But have you ever wondered why we don’t think of our own Email Inboxes in the same way? Our inbox is our very own personal digital space, that holds many kinds of our personal communications. Why do we let our inboxes pile up and overflow with all kinds of unwanted emails, and let the badge counts on our app icons go into four or five digits? When you start taking care of and controlling the clutter in your inbox, it makes you a lot more productive. You can start focusing on the relevant and important stuff, and get rid of everything you don’t want to see. You can also find what you’re looking for in your email much more easily, rather than sifting through piles of old emails sitting comfortably in your inbox. To get some comfortable peace of mind, you need to start looking at your email “inbox” with a different perspective. Many great minds have suggested that you look at your inbox as a To-Do list. We, however, recommend that you start looking at your email ‘inbox’ as the top of your desk. On your work or study desk, you only ever keep the things that you want handy. You could have a pile of files or notebooks for the subjects/projects you want to work on right now or refer to. The rest of the files or notebooks are neatly stowed away in your cabinets, aren’t they? No one likes to keep old & unnecessary files stacked on their desk. Email is just like that. You must learn to file away any of the unwanted emails, so you can focus on the important ones. “Unwanted” here doesn’t only mean all the junk emails and forwards, but also the ones you don’t need at that moment. By doing this, you can easily achieve “Inbox Zero” and also some much-needed peace of mind. How do you get to Inbox Zero? When we set on to create Spark — a revolutionary email app with an incredible set of features, we had a simple goal in mind. We wanted to offer the best set of tools and experience so that our customers start loving their email again. 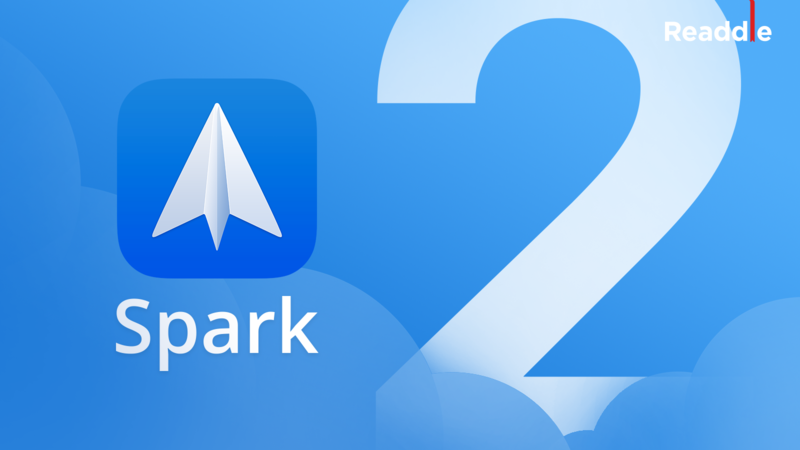 Today, Spark offers the best email experience and helps you achieve Inbox Zero with ease. 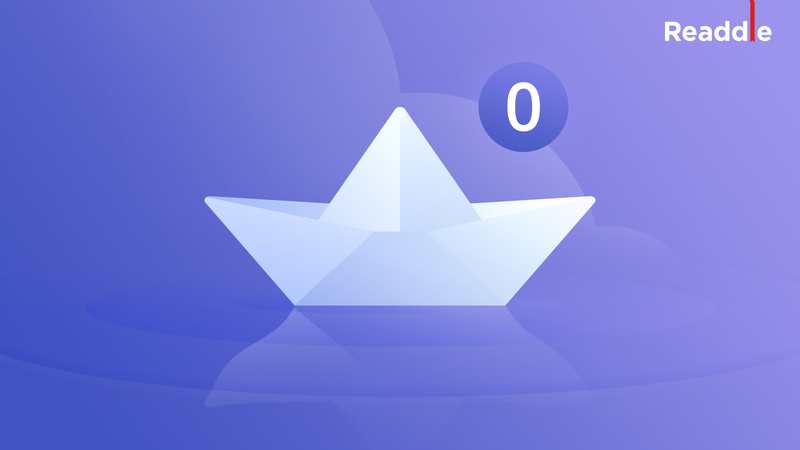 Here’s a look at some simple tricks to achieve Inbox Zero with Spark Mail app. 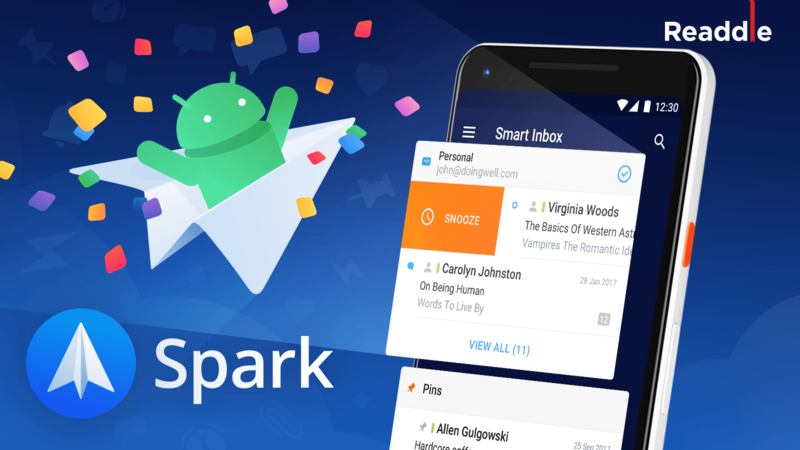 Smart Inbox is one of the revolutionary features in Spark Mail app that automatically categorizes and sorts all email in your inbox. All your incoming email is automatically sorted into Personal Emails, Notifications, Newsletters, etc. Smart Inbox doesn’t just let you focus on the most important emails first, it allows you to avoid or get rid of all the irrelevant emails at one go. With a simple gaze at your inbox, you know exactly where all your important personal emails are (Hint: they’re automatically sorted at the top), so you can get cracking at those right away. For those times when you’re super busy, you can select multiple newsletters and other marketing emails together and send them collectively to the Archive folder, and thus clean up your inbox of all the junk in a very easy way. Spark Mail app allows you to temporarily “snooze” your emails for later. It works just like your alarm clock — when you snooze an email for later, it is temporarily moved away and only returns to your inbox when it’s time to alert you again. As we previously explained, the desk and files analogy fits perfectly here. If you’re temporarily not working on a certain project, you generally move the files away from your desk, so you can focus on other important stuff. Similarly, Spark Mail app for Mac and iOS allows you to temporarily snooze certain emails and move them away from your inbox. You can specify exactly when you want Spark to alert you about these emails, right down to the specific minute of the hour. For example, many of the services today send bill payment notifications a good 15 days in advance. It is a good idea to snooze all these emails till a few days before the due date, so you won’t have them sitting in your inbox for the entire fortnight. When it’s time, Spark automatically alerts you that it’s time to pay your bills. Snoozes in Spark mail app are completely customizable, so you can set the common snooze preferences you want according to your daily schedule. One of the coolest features in Spark, one that will help you the most in reaching the Inbox Zero goal, is the ability to swipe on emails to quickly perform certain actions. Spark lets you set exactly what actions you want to take on your emails. There are four ways you can swipe on an email in your inbox — Left Short, Left Long, Right Short, and Right Long. As you can see from the above config, the short swipes in either direction are set up in such a way that the email is moved away from the inbox, either archived or snoozed. With this, taking action on multiple emails is much more easy, as you can hover your thumb in the same spot over the screen and as emails get moved away and a new one comes into its position, you can take the next action on it. As you Archive or Snooze emails you don’t want to stay in your inbox, you are left with the emails that need your immediate attention and thus, you can focus on what’s more important and attain Inbox Zero in a much better way. To customize your Swipe actions, go to Spark Settings > Personalization and set the actions you want. This step is pretty obvious but is often overlooked by many. A majority of clutter in your inbox is made up of emails you don’t want, and most emails these days come with an easy way to get rid of them in the form of “One-Click Unsubscribe”. Many of the legit email marketing services take SPAM seriously, especially after GDPR, and offer a single-click way to opt-out of email marketing. Use this feature to your full benefit. It only takes a brief moment, but results in no more emails from the same service or sender (well, at least in most cases). The more you unsubscribe from marketing emails, the less junk you’ve got cluttering up your inbox, and the easier it will be to achieve Inbox Zero. Additionally, Spark Mail for Mac and iOS allows you to easily report an email as Spam with a few simple taps. When viewing an email, simply click/tap on the “three dots” for that email and choose the ‘Mark as Spam’ option. As described above, you can even configure a swipe action to mark an email as Spam while viewing your inbox. When you mark an email as Spam, it is automatically removed from your inbox and your email service provider gets smarter about what emails to filter out for the next time. With the four options detailed above, it’s very easy to achieve Inbox Zero and effectively attain some peace. 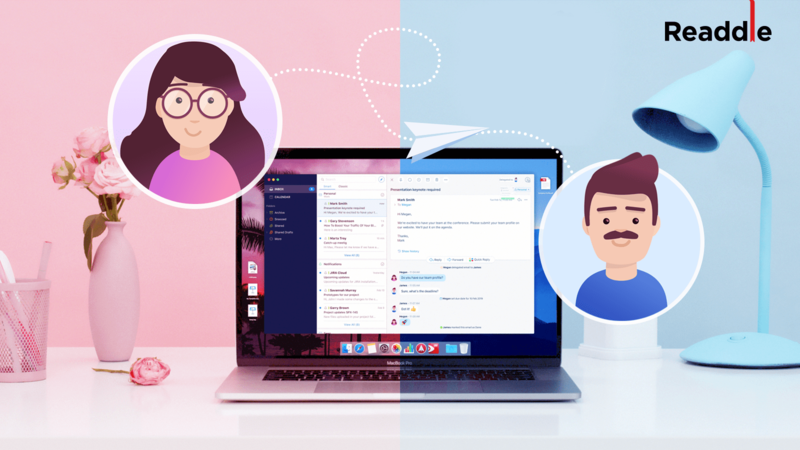 Spark Mail app offers the best set of tools and features to handle your email and get the most out of the mail experience on your Mac, iPhone, or iPad. Download Spark for Free and start loving your email again.